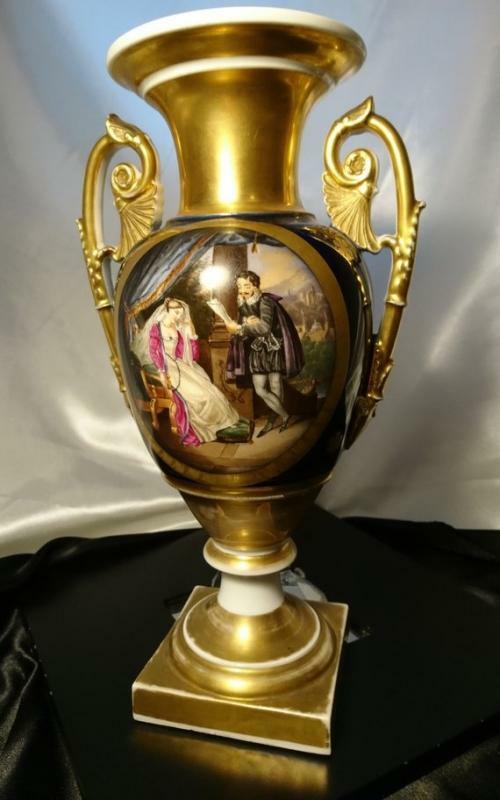 A grand antique piece of fine French antique porcelain, an early 19th century urn shaped, two handled vase, Old Paris fine hand painted. 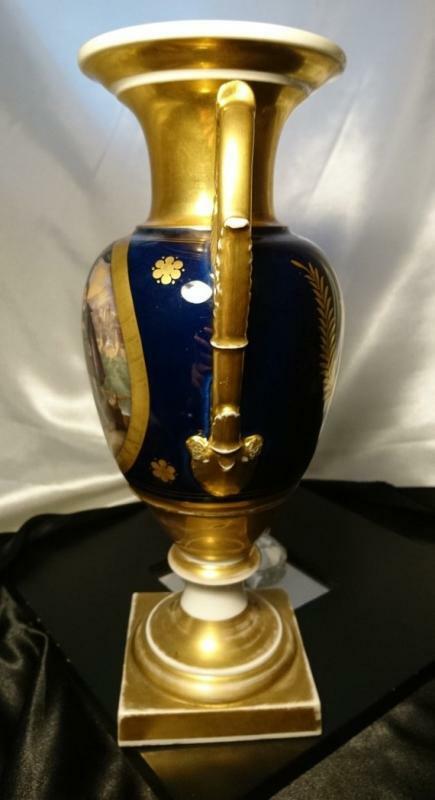 This beautiful piece has been carefully hand painted by Old Paris masters with a 16th century courtship scene featuring a courtier and lady in a decadent interior, striking cobalt blue and ground gilt on a smooth white porcelain base, two piece with a screw bottom and lovely upscrolled palmette handles. 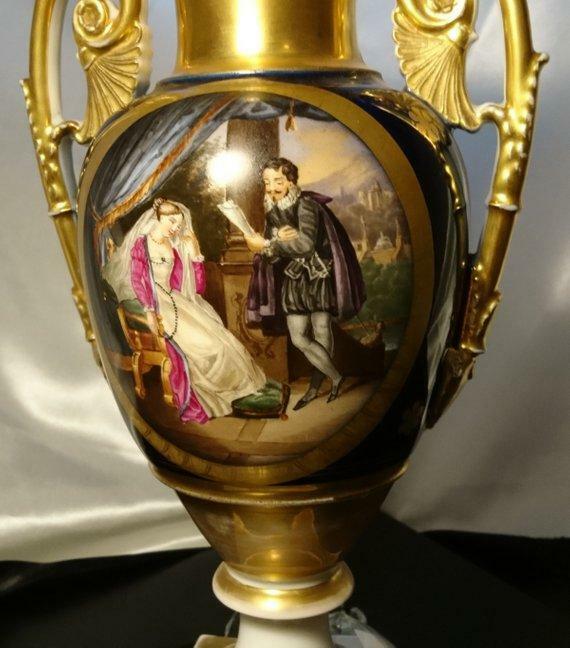 A particularly decadent and detailed piece. 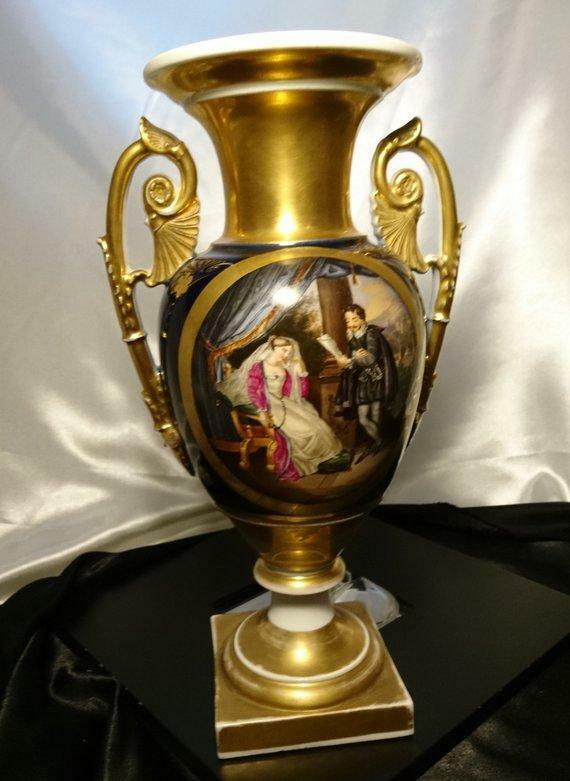 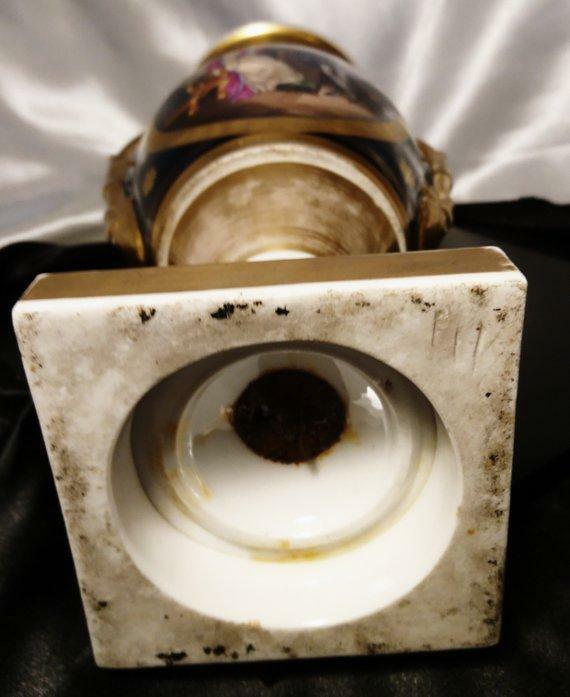 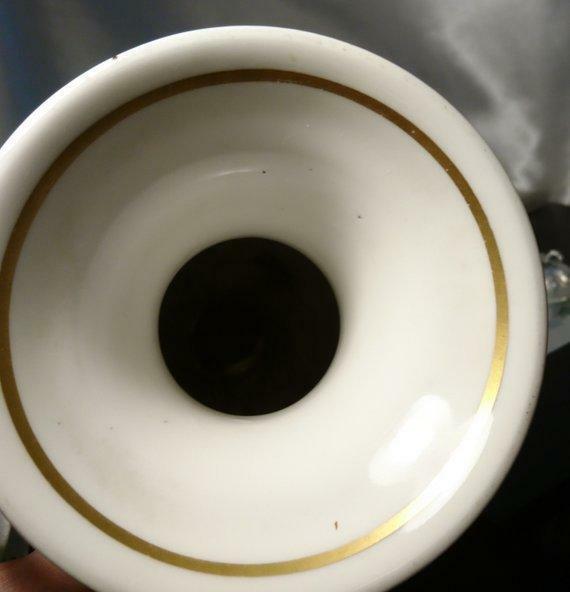 It is unsigned c1820, in very good condition with some loss of gilding on the base and handles and some rusting of the screw where the piece has held water. 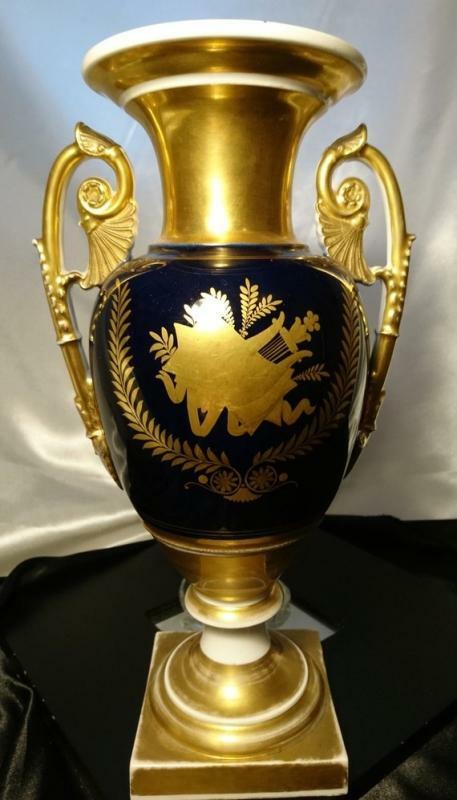 A beautiful antique piece and a fine example of 19th century Parisian artistry. 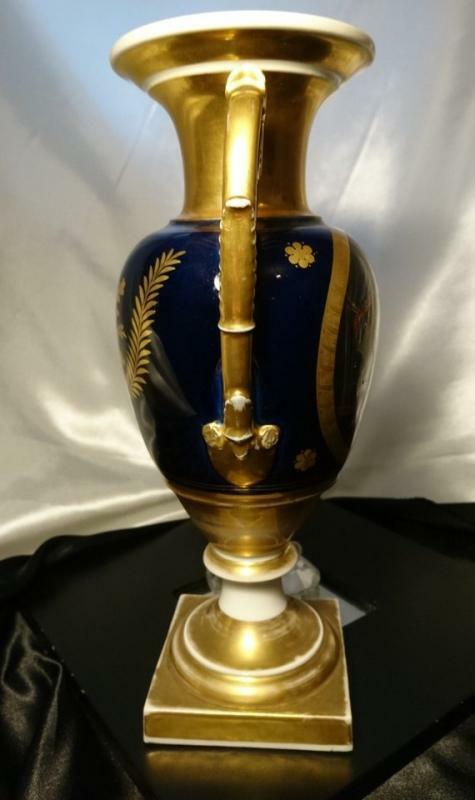 Approx 11.6" height, 4" top diameter, 6" width and 6.5" handle height.